The sweet moments of wedding are not only unforgettable for the bride and the groom but also for the near and dear ones. 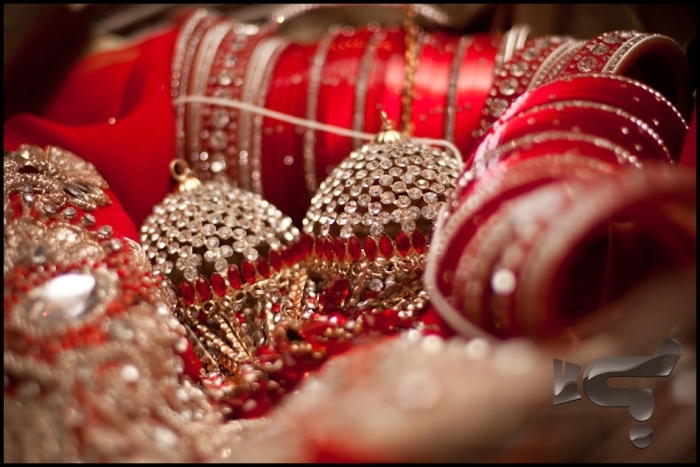 One such moment is the chuda ceremony which is celebrated at bride’s place just a day before the wedding. 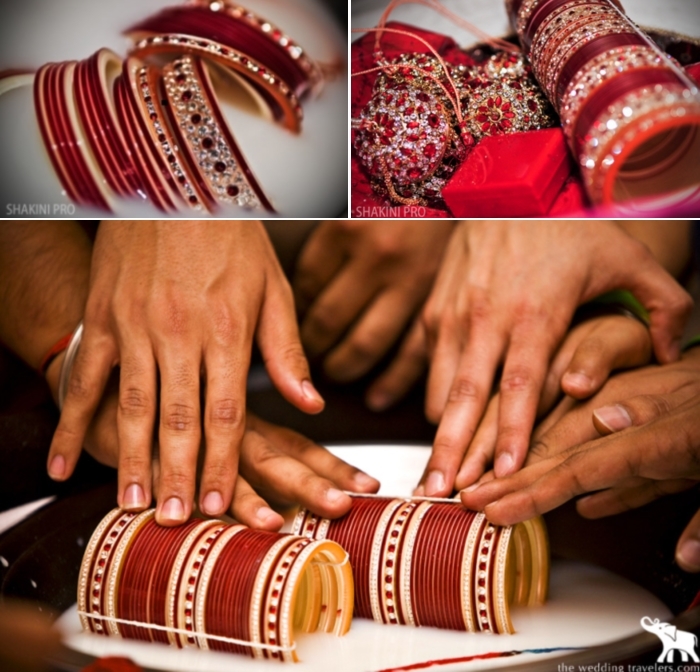 Chuda is a set of red and white ivory bangles that are gifted to the bride by her maternal uncle (mama) and aunt (mami). The chuda ceremony is accompanied with pooja or havan. These days chuda is available in a plethora of designs and colors like red, maroon, pink, purple and white. The size of these bangles generally varies according to the circumference of the wrist and the forearm. These bangles signify the newly wedded status of the bride and she generally wears them for at least forty days after her wedding. The custom of wearing chuda is considered as a good omen because it is believed that it brings fertility and prosperity in the lives of the newly wedded couple. 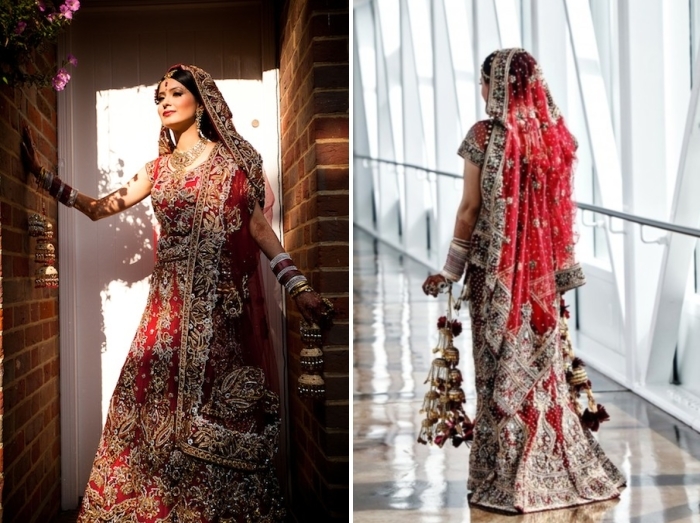 The wedding lehenga is also gifted to the bride by her maternal uncle at this time. Once the chuda has been worn, the bride’s friends and cousins tie kalire to the chuda. These are pieces of umbrella shaped gold or silver ornaments. 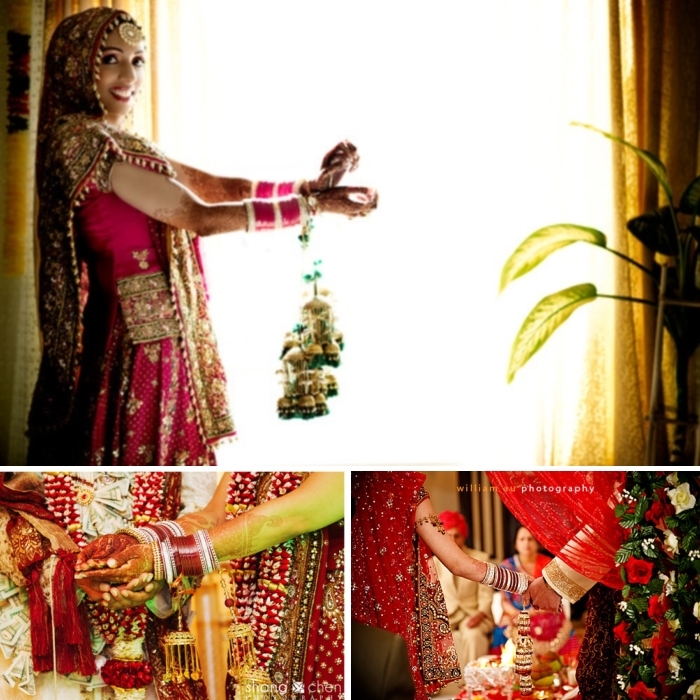 These signify good wishes for the bride’s new life ahead and are also meant to remind her of her friends and cousins. It is said that the number of leaves on kalire are as many as bride’s friends. There’s an interesting ritual associated with kalire. The bride shakes her hands over heads of all the unmarried girls in the family one by one and if a leaf or a part of kalira falls on anybody’s head, then it is believed that she will be the next one to get married. 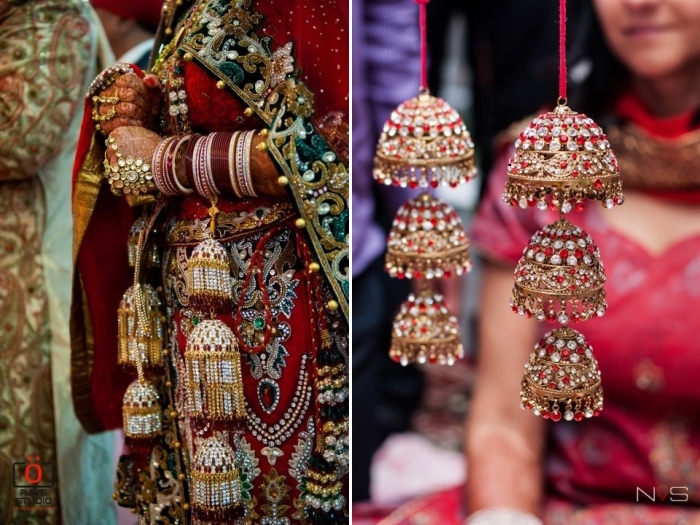 Wearing chuda is actually a Punjabi tradition but as it is so beautiful, that the brides from other communities also love to flaunt the chuda to let everybody know that they are married. On the day after the wedding, the newly married couple goes to the temple or gurdwara to seek blessings. At this time the bride leaves one kaleera as a gift to seek blessings from the priest and she keeps the other kaleera with herself as a momento.